The statues as they were atop the Old State House. The lion and unicorn statues on the Old State House were lowered from their perches on Sunday morning for repairs and restoration and will be reinstalled in October. A time capsule, believed to have been sealed within the lion’s head for 113 years, may have come down with the statues as well. The Bostonian Society, tasked with preserving the building since 1881, said that the statues’ removal went smoothly. Both the unicorn and lion will be taken to Skylight Studios, a sculpture studio in Woburn, according to the society’s director for development, Heather Leet. There, Robert Shure, a conservator, will make any needed repairs and resurface the unicorn in palladium leaf and the lion in gold leaf. The time capsule may have been put in the lion’s head in 1901, according to news reports from the period. If it exists, the capsule will be removed next week in the studio. “We will have an archivist on hand, since the paper in the time capsule could be brittle,” Leet said. Leet said the capsule could contain a picture of the city’s mayor, along with campaign buttons, newspapers, and other photographs. There may be letters inside “from a prominent Bostonian,” Leet said. If the time capsule is found, it will be replaced with a new capsule before the statues are reinstalled next month. 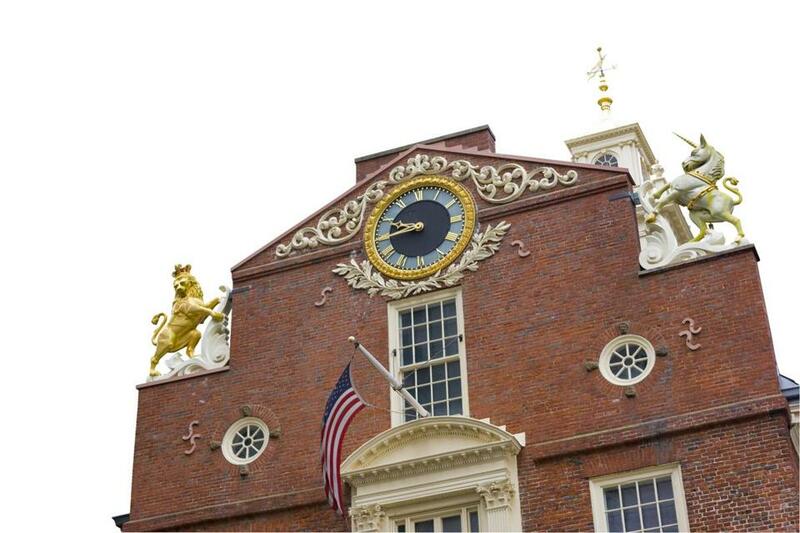 The gold lion and silver unicorn, representing England and Scotland, are the third versions of the statues that have graced the Old State House since their original installation in 1713.